*At a fundraising event last week, Chicago Ald. 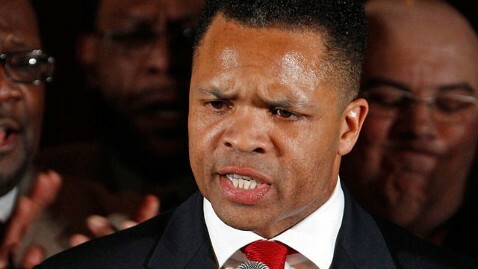 Sandi Jackson, the wife of Rep. Jesse Jackson, Jr., went off on the media. She said her husband was doing well and then let out her real feelings. “The jackals are outside. Let them stay outside,” she shouted into a mic, referring to the press anxiously stalking the birthday fundraising event, reports the Chicago Sun Times. She did manage to thank all the family’s supporters as she deals with her husband’s illness, bipolar depression. Until then, Jackson’s future is in the hands of his doctor, who will grant him a yes or no to return to work. And while he’s out, Ald. Jackson has been forced to sell his Washington home. The question at this point is whether or not he’s ever going to return to politics, let alone run for Congress. Others reasonably conclude that if he’s having medical issues, he should step down.